This is the final module in the course. Thanks for participating in Introduction to Digital Storytelling. As was mentioned in the introduction video in Module 1 (Welcome), there are two final tasks to complete this course: post in the forum, and create a recording. Posting in the forum is required for official course completion – Mike will read and reply to your post and mark the course complete. Knowing that the recording process may need some time, you are free to do this on your own, at a time that suits. However, I hope you’ll stay in touch and share your work – either by returning to post at the forum or by emailing a link to mike@ancestryproject.ca. The final assignment is to participate in the forum. 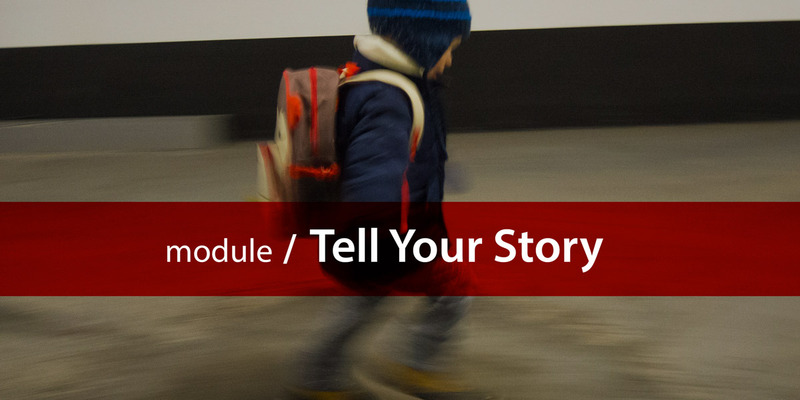 Look for the forum title “Intro to Digital Storytelling.” You should post comments about the course – and tell us what you plan to do with digital storytelling in the future (what project or recording will you undertake?). Lastly, I want to end on a positive, encouraging note. I want to ask you to keep in touch and to appeal to you to TELL YOUR STORY. I can’t predict how many of our group will complete a recording and share, but it won’t be everyone. Free MOOCs only have a 5% completion rate. I hope 100% of those who register actually complete this course, and that a good majority of those tackle the recording. If you’re an educator lead your participants by creating your own digital media. It’s a rewarding process, particularly if you tell stories based on your personal or family history. Ancestry, family history, talks about personal experience and culture – these are typical topics, and provide great inspiration for writing, recording and producing sharable audio. This course was published for the first time on May 1, 2017. If you have any suggestions or want to report technical issues please send a description to mike@ancestryproject.ca. (including a screenshot is helpful). Thanks for joining us and see you in a future course!